Tiago Taparelli from HSReplay.net got a chance to interview HGG finalists Lucas Guerra (Rase), Rodrigo Castro (Perna), Lucas Neves (Nevess) and Lucas Claudio (LucasCrt) from Brazil's Team who recently placed 2nd in the Hearthstone Global Games. 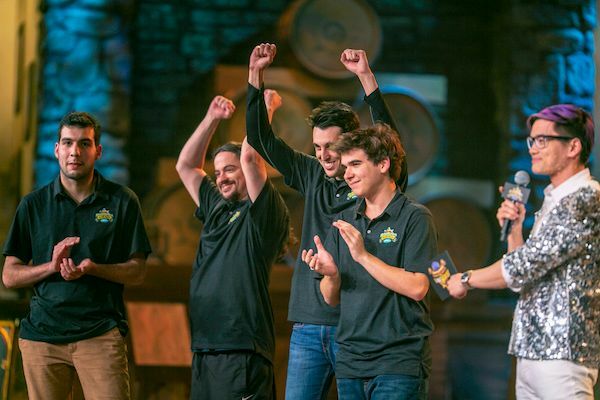 HSReplay.net: First off, congratulations on placing 2nd in the Hearthstone Global Games. That is a remarkable achievement! 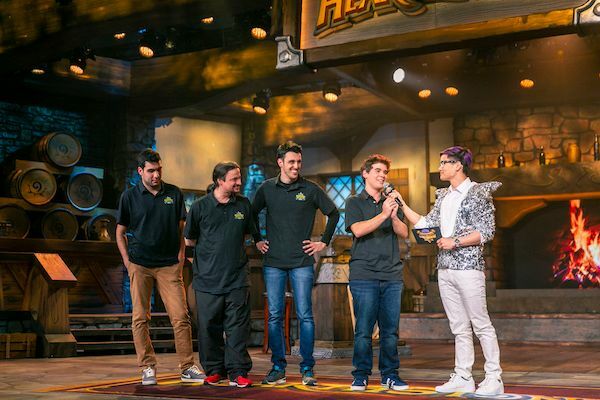 How was the experience of competing in the HGG finals directly from BlizzCon? Team: Thank you! It was an incredible experience for the whole team. Since the start of the competition we have been setting goals, one of which was making it to BlizzCon. The four of us travelling together and playing face-to-face in that great atmosphere of BlizzCon was pretty amazing. If we only had the title it would have been perfect (laughs). Being the runner-up is also a great achievement, so we have to be proud and know that we did our best. HSReplay.net: What do you think set yourselves apart from the other teams in the competition? Team: I think there were several factors. The four of us have been friends for a few years already, and that definitely helped during the competition. We all also went in with the same goal in mind, to give our best and seek the title. So we prepared a lot every week. We had long conversations on Discord to decide which decks to bring and which tech cards to use. We also simulated several pick and ban strategies until we found one that would give us an edge. We have a huge spreadsheet full of stats, analysis and photos from HSReplay.net's stats. HSReplay.net: Oh, nice! Which website features did the team use the most to prepare for the competition? Team: We used HSReplay.net A LOT during the competition and it was super important in our preparation. The main feature we used was the Matchups matrix of the Meta page to run several different simulations of 9x9 classes, but we also used other tools like decklist and mulligan winrates. HSReplay.net: If you could ask Blizzard to change one thing about how competitive Hearthstone works, particularly the Hearthstone Global Games and Hearthstone Championship Tour, what would that be? Perna: I think the biggest impact they can make on the competitive landscape would be with an in-game tournament mode. I think it would be more fair if all tournaments that counts towards HCT points were played online, so that people from all over the world could compete equally. Rase: I agree with Perna. A tournament mode would be very important for the competitive scene, but unfortunately Blizzard canceled it. With respect to the Major HCT events, I believe they should all have at least one open qualifier online so that everyone has a chance to participate. HSReplay.net: What are your plans for the future now that HGG is over? Will you continue to compete professionally? Maybe start streaming or creating content for Youtube? Perna: I will definitely keep competing, but starting a YouTube channel is also something I'm looking into. Rase: For now I will probably continue to just play Hearthstone competitively. Creating content via streaming or Youtube videos is something I'd be interested in doing if a good opportunity comes along. HSReplay.net: Any tips for players looking to start participating in tournaments? Rase: Definitely play a lot of ladder to learn all the different matchups and join as many small tournaments as you can. Try to watch good streamers and focus on understanding the reasoning behind each of their plays. Last but not least, learning to use websites like HSReplay.net has become essential for any competitive player, so take your time to learn how to use them to your advantage. HSReplay.net: Blizzard recently announced Hearthstone's next expansion, Rastakhan's Rumble. What do you think of the cards and themes revealed so far? Rase: I'm liking it so far. 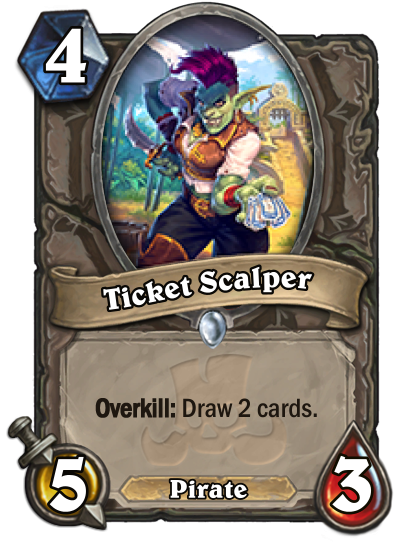 The new keyword Overkill seems really interesting. 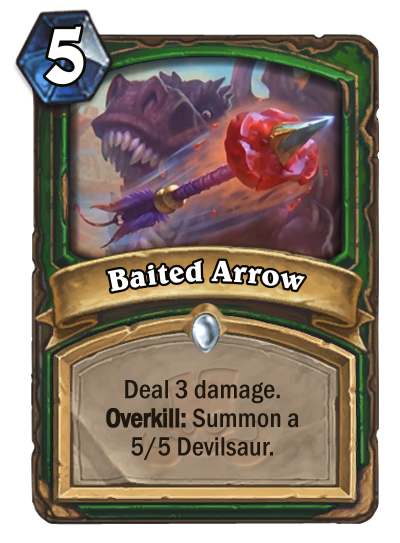 But to be honest I don't usually do much theorycrafting during reveal season and only take a more superficial look at the cards, then after it's released I start testing everything. 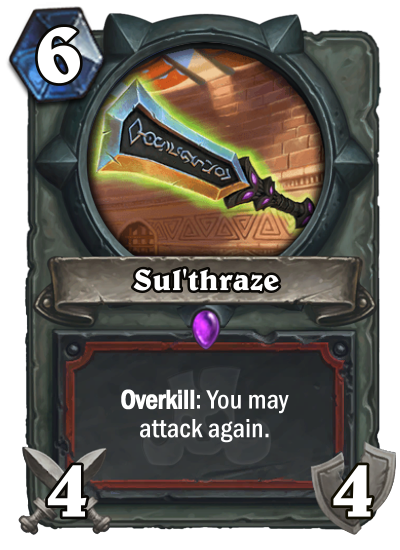 Cards revealed so far with the new keyword "Overkill"
LucasCrt: I think Blizzard has learned a lot about how very strong cards like Death Knights can be harmful to the game. Looking at the cards released so far, it looks like they intend to print cards with a lower power level. I believe that only a few cards will end up being played and this year's expansions will only have more impact next year after the rotation. HSReplay.net: One last question before we let you guys go. What kind of cards or effects would you most like to see in Rastakhan's Rumble? Rase: I wish Blizzard would print more cards like Dirty Rat because it gives you a chance to win some tough matchups. For example in Odd Warrior vs. Shudderwock Shaman, there's very little room for the Warrior to play aggressively, so Shaman has all the time in the world to play all his combo pieces. Disruption cards like Dirty Rat can help in polarized matchups, which I think is a good thing. LucasCrt: I agree with Rase, I love Dirty Rat. Despite it having RNG in its effect, it still involves a lot of skill to play optimally and helps to even out highly polarized matches. HSReplay.net: Perfect, thanks for the interview guys! You can find more information about Hearthstone's next expansion, Rastakhan's Rumble here. Subscribe to Premium to have access to the full breadth of stats from HSReplay.net, including advanced filters, mulligan guides and much more. Follow us on Twitter and Facebook for daily Hearthstone stats and news. The team got a chance to interview Chris Sigaty and Dean Ayala during BlizzCon.